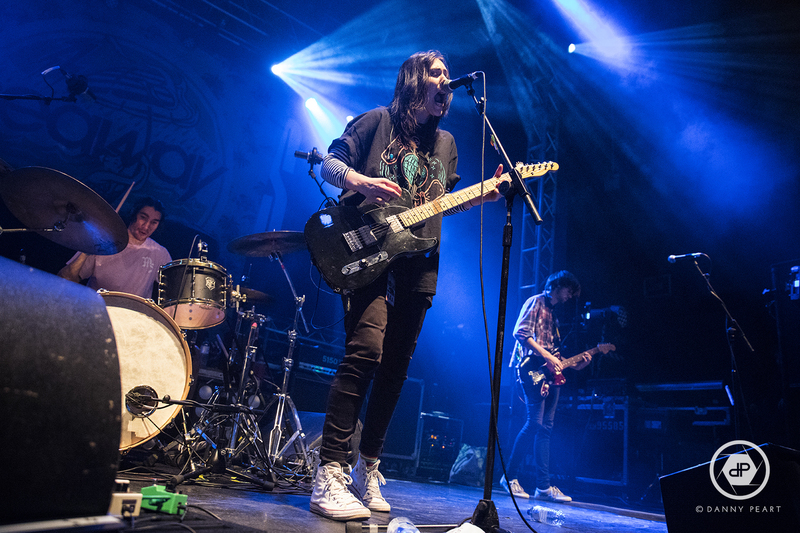 Stand Atlantic recently released their debut album Skinny Dipping on Hopeless Records, and are fresh from touring the UK & Europe with State Champs and the USA with Neck Deep. The album title track premiered on BBC Radio 1’s Indie Show With Jack Saunders during the Midnight Drop segment. The song is available for stream/purchase here. The band also recently shared the single and music video for “Lavender Bones,” which premiered on triple J’s Good Nites in Australia. The song has climbed the charts to be the Most Played track on triple J on September 21 st . The band also released the single and lyric video for “Lost My Cool”. Stand Atlantic, made up of Bonnie Fraser (vocals/guitar), David Potter (guitar), and Jonno Panichi (drums), launched into the international eye following last year’s Sidewinder EP. The group’s blend of hard-charged rock and soaring pop melodies has earned them a home on international tours with the likes of New Found Glory, Neck Deep and State Champs – and critical accolades like a “Best International Breakthrough Band” nomination at the 2018 Heavy Music Awards and inclusion in Kerrang’s highly coveted Hottest Bands of 2018. Skinny Dipping builds on that success and take them even further. The unfiltered honesty of the album’s 10 tracks showcases an emotional maturity beyond Stand Atlantic’s collective years, a keen sense of self-awareness and desire to be unconditionally authentic even when – and perhaps especially when – it breaks their hearts.